I am a PR and outreach expert, and I can help you do media outreach that gets results. I will help you pitch community.today.com to publish an article with a no-follow link to your site. The pricing includes complete content ideation, creation, pitching, and publication. You do not need to and you cannot provide your own article. Aside from your link, there would be 2-4 authority links as the story would not be credible otherwise. I cannot work with sites in the following niches: gambling, dating, adult, and pharmacy. 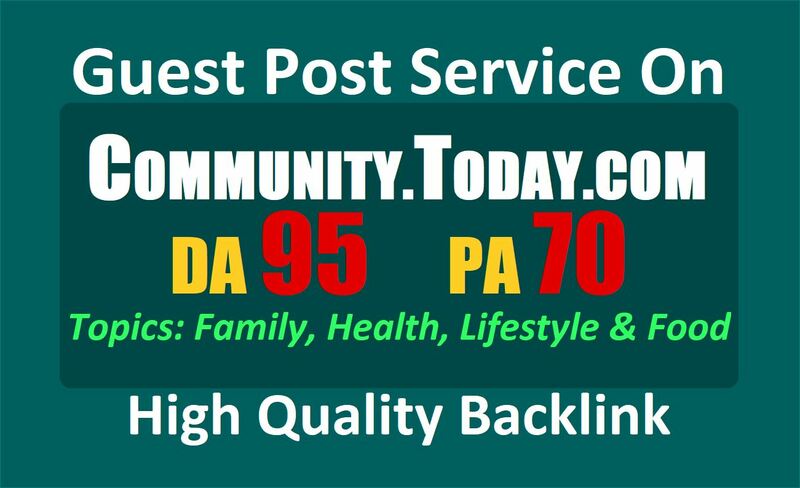 Write and Publish a Guest Post on Community.Today .com, DA 95 is ranked 5 out of 5. Based on 2 user reviews.